Well the inevitable finally happened. The last all-big-lever interlocking tower in North America was not only taken out of service, but razed to the ground. 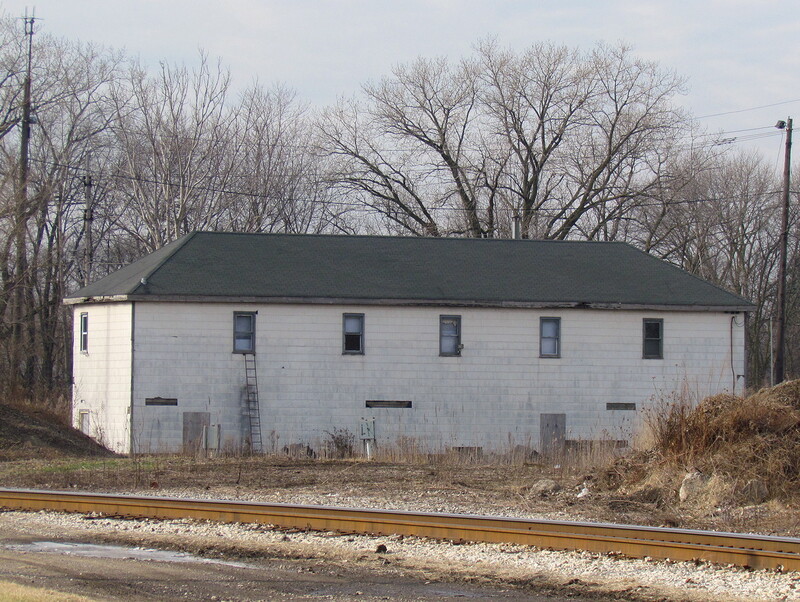 DOLTON JCT and its 172-lever S&F machine was built by the PRR in 1897 (and possibly rebuilt in 1944). The squat wooden structure was built to accommodate an Improved Saxby and Farmer pattern frame with a giant horizontal locking bed. A typical Chicagoland flat junction with more diamonds than turnouts, DOLTON JCT controlled the east end of the large B&OCT / IHB yard complexes. In 1942 the tower had 136 active levers, decreasing to 100 in 1944 and the number has only gotten smaller and smaller since then. when I Was able to visit in 2014, new owner IHB had started the process of chipping away the territory into new, independent sub-interlockings. 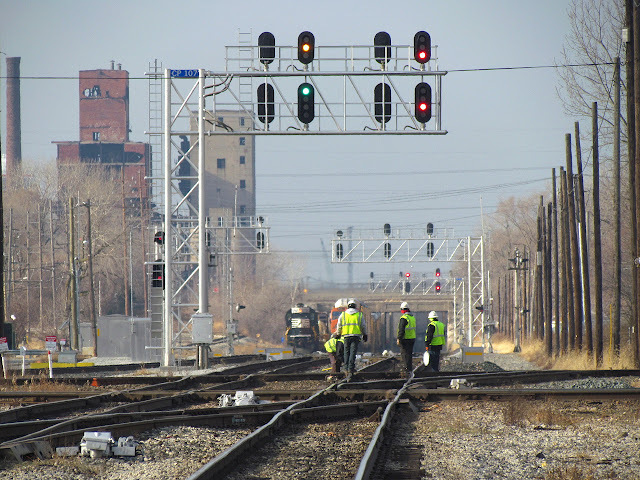 Apparently, the interlocking was cut over to the IHB dispatcher on February 27th, 2017 and then the tower itself was finally knocked down on Friday, August 4th in order to make way for a track realignment project. Hopefully, like the IHB CALUMET tower that was closed in early 2016, local preservation groups were given the opportunity to save artifacts and what was in all likelihood, the largest mechanical lever frame still in existence in the western hemisphere. For full coverage of the last years of Dolton Junction tower and its ultimate demise, including a bevy of interior photos, check out the Industrial Scenery blog. Back in 1968/69 under PRR Control a Towerman let inside we became good friends and taught me the line ups. I miss him P.G. there where still some Armstrong levers hooked to the rods. CP-ROCHESTER - Back from the Dead?